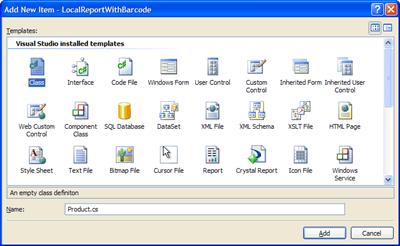 In the following Step-By-Step Guide we're going to create a local report (RDLC file) which features barcoding capabilities by using Barcode Professional SDK for .NET. Add a new TableAdapter to the DataSet (Right-clicking on the DataSet design surface and selecting Add > TableAdapter... or by dragging & dropping a TableAdapter from the Toolbox). 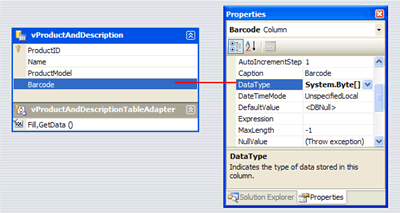 Change the data type of the Barcode column to System.Byte (Array of	Byte). NOTE: the System.Byte data type is not listed and thus why you must type it manually. Now add a new Report item to the project. The data source for the report should look like the following figure. 1º Column: It holds an Image item. 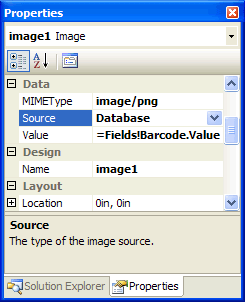 Drag & drop an Image item into it and set its properties as is shown in the following figure. 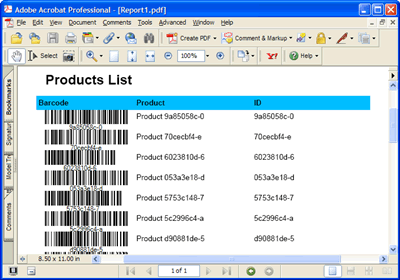 Notice that Value property of the Image item is bound to the Barcode column. The Image item's properties. 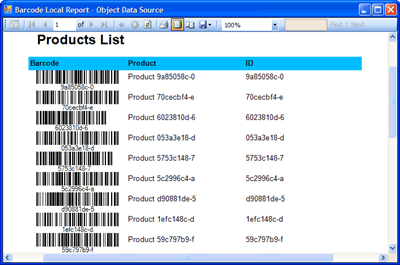 The Value property is bound to Barcode Column. Now Create/Open a Windows Form at design time and drag & drop a ReportViewer control onto it and set the local report to display. Write the following code in the Form_Load event procedure. That's it. Run your application. 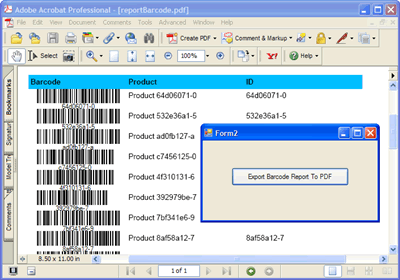 You should get the barcode images displayed on the report. The following walkthrough shows how to programmatically export a local report to PDF without viewing it. 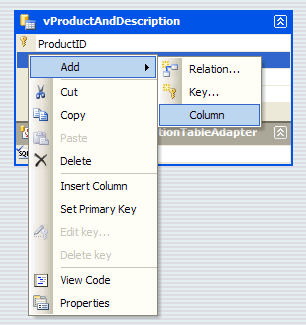 Add a new Windows Form to the project and drag & drop a Button control onto it as is shown in the following figure. 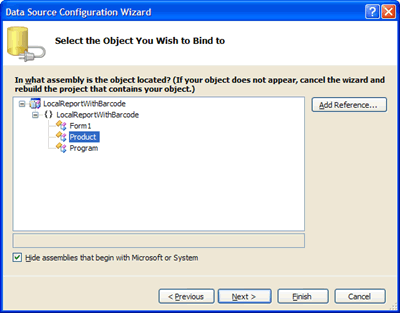 Double click on the Button control and write the following code in the Button1_Click event procedure. 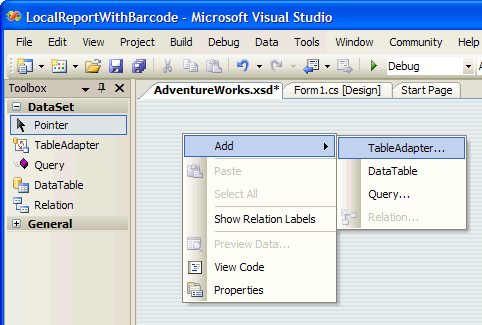 'NOTE: LocalReportWithBarcode refers to the namespace for the app. 'Export to PDF. Get binary content. 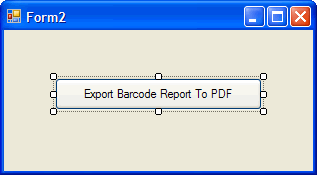 Dim pdfPath As String = "C:\temp\reportBarcode.pdf"
//NOTE: LocalReportWithBarcode refers to the namespace for the app. //Export to PDF. Get binary content. That's it. 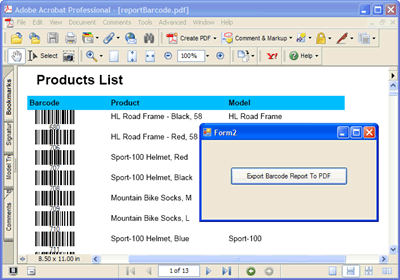 Run your project opening the last form and click on the button to generate the PDF version for the barcode report. 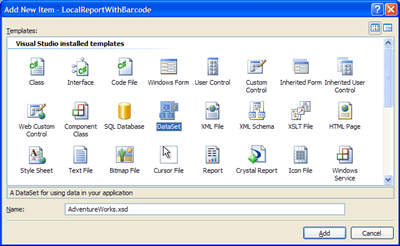 You can design local reports (RDLC) based on business objects defined in your application. In this scenario, an object data source is simply a collection of arbitrary objects. 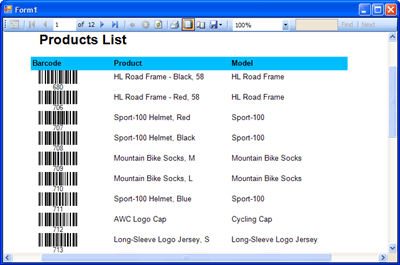 In this guide, we'll define a custom object with barcoding support that will be used as data source for our report. 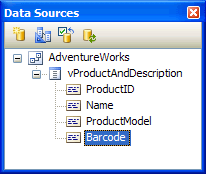 Add a new class item to the project and name it Product. 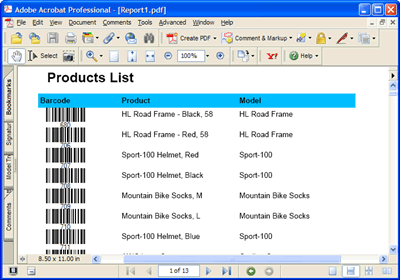 The Product class will feature basic info about products such is ID and Name as well as a special property called Barcode which will hold the barcode image for each product object. 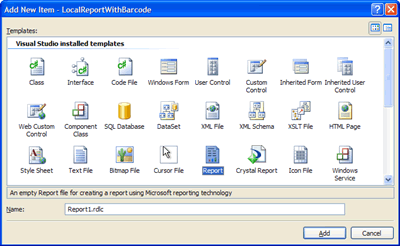 Add a new Report item to the project. 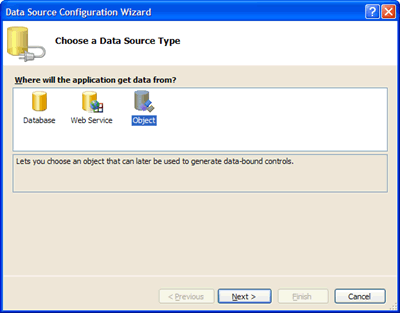 In the Data Source Configuration Wizard choose Object and click Next. Create/Open a Windows Form at design time and drag & drop a ReportViewer control onto it and set the local report to display. 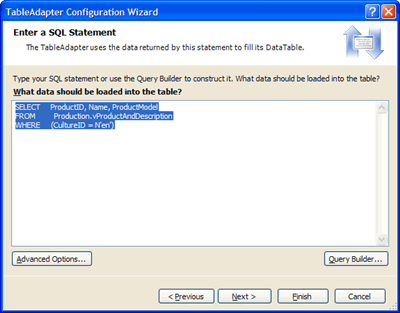 'NOTE: You may connect to a SQL Server Database and create Product objects based on data returned from such source. 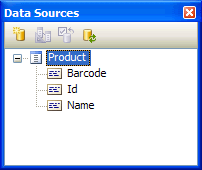 //NOTE: You may connect to a SQL Server Database and create Product objects based on data returned from such source.